200-250L. 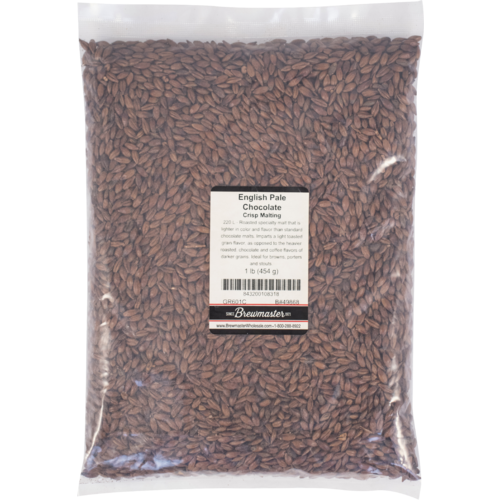 Half as dark as chocolate, this grain imparts a softer flavor than it's counterpart. Still great to use in classic dark beers. My favorite dark malt of all time. like crisp grain. don't have at local homebrew store. Because pale chocolate was my rap name. Nothing quite gives that toasty character like Pale Chocolate. Essential for British brown beers. my favorite roasted malt...need to have some on hand at all times! The best chocolate malt in the land. This product is exactly as you'd expect: chocolately and high quality. I like it much better than regular chocolate malt. Makes a great brown ale. I don't know why this tends to be harder to find at the local shops, but I'm glad to have a fresh source for it. This is a key ingredient in so many beers because it isn't as harsh as darker roasts can be. Great stuff! I use some of this in my Stout. I think it adds some nice flavor and it seems to come pretty fresh. Great color and flavor. Nice alternative to dark chocolate malt. 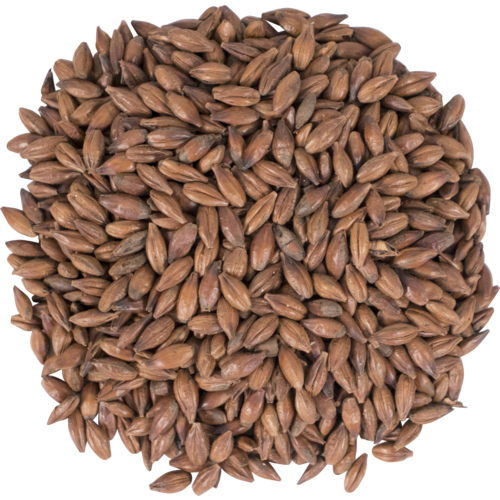 A mellow round flavor and a nice dark color make this malt perfect for adding color to your brew. I use it for ambers through stouts and am always glad I did. It adds a good bass-note flavor that works well to counter sweeter flavors. Adds a great flavor and color. You need to watch the brand of pale chocolate. Some maltsters will put this in the 200L range, while others are closer to the 400L range, but call it Pale Chocolate. Used in a amber, nice flavor! I'm not a fan of overly roasted grains which is why I prefer to use pale chocolate malt instead of other darker malts. Soft cocoa flavors make this grain perfect for an upfront flavor or mixed in with other malts to add complexity. I use it in all my porter and stout recipes. I use up to 1 lb pale chocolate in all my 5 gal stout recipes. It provides a nice dark color and moderate roastiness, however I usually get more coffee than chocolate flavor. If you want more roastiness, try regular chocolate. If you want less, try something dehusked (I like midnight wheat). added great color to my beer as well taste. I wanted some color & some dark flavor in a stout, but didn't want to overload it with super dark roasted grains: Enter Pale Chocolate. It was a great addition. I've used this in a mild red & it leant a great color.